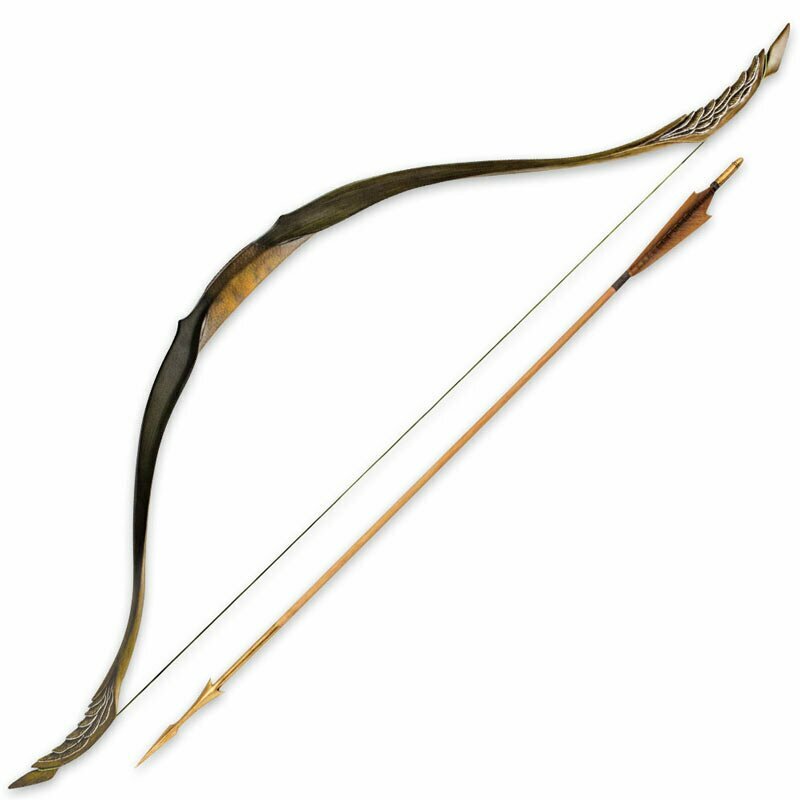 Short Bow of Legolas Greenleaf - Hobbit(UC3070) The Hobbit movie and book collectibles. This authentically detailed replica is a reproduction of the actual prop built by Weta Workshop of New Zealand and used in the motion picture, THE HOBBIT: THE DESOLATION OF SMAUG™. The bow and arrow are crafted from steel-reinforced polyresin, with precisely molded details and coloring. It is presented with a polystone wall display (mounting hardware and instructions included) featuring the graphic motif of the house of Thranduil, and includes a certificate of authenticity.